Frayba denounces death threats and physical attacks against the Zapatista community of Tzakukum in Chalchihuitán. San Cristobal de las Casas, September 12, 2015.- Woundings, injuries, incessant harassment, threats of lynching and of actions by a paramilitary group are the result of the attacks in Tzakukum, municipality of Chalchihuitán, against Zapatista support bases who are defending the grounds of the autonomous Zapatista community school after the attempted eviction launched on 13th July last; the aggressions have now lasted for two months, organized locally by the rural agent of Tzakukum, Flavio Girón Hernández, the local trustee of Chalchihuitán, Manuel García Nuñez, and Hermelindo García Núñez, leader of the PRI in the municipality. 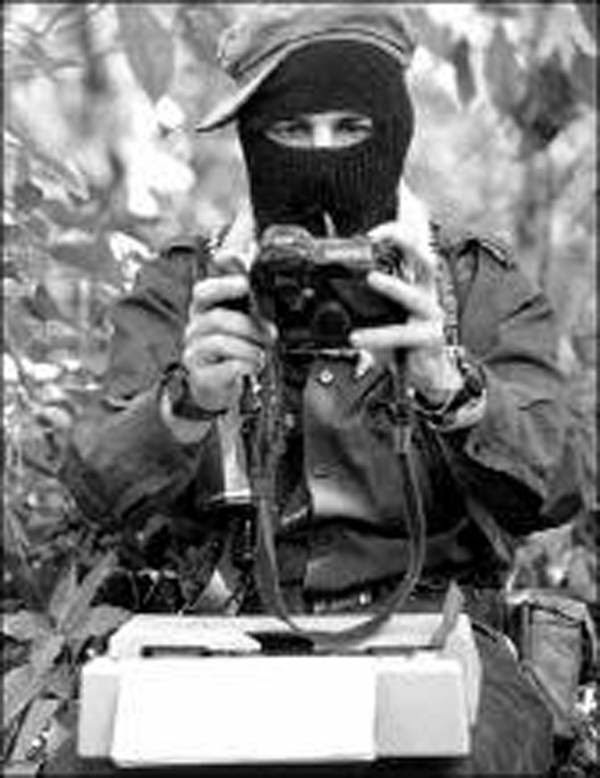 Once again a Zapatista school is the pretext to begin a process of attacks against Zapatista autonomy. The party supporter Raymundo García Pérez has threatened to activate a paramilitary group against the Zapatistas, in a region that has historically been plagued by paramilitary groups, not just after the 1995 offensive and subsequent paramilitary escalation. There is, for example, a report of a massacre in 1983 at the hands of a paramilitary group in the same community of Tzakukum, who undertook a scorched earth operation, set fire to the houses of the community and shot dead people who were fleeing their burning homes. A few days ago, a displaced family in this city from the community of Pom, a neighbour of Tzakukum, reported that one of the perpetrators of the massacre of 83 had taken their three hectares of land and forcibly displaced them. So Raymundo García Pérez was not making gratuitous threats. Last June, very near this place, in Pantelhó, a member of the Civil Society Las Abejas was assassinated by a paramilitary group. 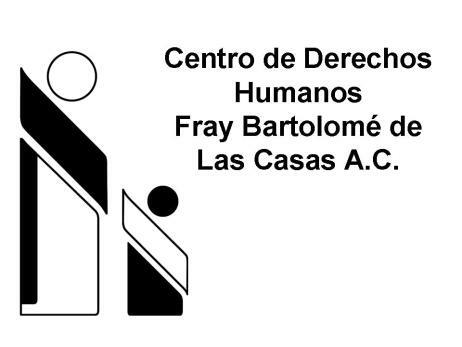 The Fray Bartolomé de Las Casas Human Rights Centre, AC (Frayba) has documented the facts about the death threats, physical attacks and harassment against support bases of the Zapatista Army of National Liberation (BAEZLN) in Tzakukum community, in the official municipality of Chalchihuitán; the information was provided by the Good Government Junta of Oventik, Central Heart of the Zapatistas before the world (JBG Oventik), belonging to Caracol II, Resistance and Rebellion for Humanity. According to testimonies, it is reported that on August 10, 2015, the BAEZLN Aurelio Gómez Girón was threatened with being killed with a machete by a woman named Catarina Girón Diaz Segundo, a member of the Institutional Revolutionary Party (PRI). On the same day, Mr. Ramón López García, from the PRI political party, cut the water supply of Mariano Garcia Nunez, BAEZLN, who was threatened with being killed with a machete. On 15th August, the PRI member Juan Antonio Pérez Girón threatened to kill the two BAEZLN María Gómez López and Catarina Girón Díaz Primero with a machete, on the way to a meeting. On 26th July, a group of political party members detained four people, BAEZLN, in the community of Tzakukum and threatened to burn them with gasoline: Martín García Núñez, Sebastián Gómez Pérez, Jorge López Núnez, Mario Núñez García. In addition eight other people were beaten and appear injured but have not received medical care: María Girón López, Mariana Girón López, María López García, Martín Díaz Pérez, María Gómez Pérez, Aurelio Gómez Girón, Rafael García Gómez, María López Núñez. On Tuesday 18th August, the party supporter named Raymundo García Pérez beat Manuel Núñez López leaving him with serious injuries to his face and entire body; and physically assaulted four more BAEZLN: Librado Pérez Núñez, Margarita Gómez Sánchez, Mariano García Núñez and Lorenzo Gómez Pérez. The perpetrator threatened to kill them saying he had “an R15 gun and a group of paramilitaries.” So far the Oventik JBG has reported that the health situation of Manuel is delicate. This Human Rights Centre has photos documenting the resulting injuries. On 2nd September the BAEZLN Agustín López Núñez was beaten by Marío García Núñez who will be the director of municipal work for the Institutional Revolutionary Party (PRI) from the first of October this year, and Marcos Núñez Sánchez, currently police officer of the education committee; after hitting him they put him in the boot of a Tsuru car owned by Marío García Nuñez, taking him approximately one kilometre from Tzakukum, where they again beat him and then abandoned him with serious injuries to his body. It should be noted that, according to the testimonies of the victims, these attacks and threats are organized by Flavio Girón Hernández, rural agent of the community of Tzakukum; Manuel García Núñez, Municipal Trustee of Chalchihuitan, and Hermelindo Garcia Núñez, leader of the PRI in the same municipality. We are concerned that the authorities of the state of Chiapas encourage human-rights violations by being absent when a series of attacks are directed against the BAEZLN. The victims indicated that a group of approximately 25 people harassed and threatened them, including: Domingo García Girón, Maurelio García Núñez, Marcos García Núñez, Efraín García Núñez, Florentino García Núñez, Mario Gómez García, Angelina Gómez Girón, Mariano Pérez Núñez, Rafael Núñez López, Moíses Núñez Sánchez, Nicolás Hernández García, Juan Antonio Pérez Girón, Julio Núñez Girón, Jesús Núñez Girón, Marcos Núñez Girón, Santiago García Nuñez, Mariano Girón Pérez, Manuel García López, Ricardo Núñez López, Martín Núñez Pérez; including people who occupy responsible positions in the community and others who will assume public office in the town council of Chalchihuitán from 1st October this year: Mario García Núñez- director of works; Gerardo Domínguez López- President of the Preschool and Primary Education Committee; Mario García López- Second Councillor (regidor); Nicolás Pérez Núñez- Third Councillor; Omar Gómez Pérez- manager of Diconsa (social security), Marcos Pérez López- municipal police, Mariana Pérez López- spokesperson for Procampo. These human-rights violations in Tzakukum take place in a context of counterinsurgency that is implemented by the Mexican State against Zapatista autonomy, recently there have been several attacks on BAEZLN, such as the murder of Zapatista teacher Galeano on 2nd May, 2014, and the recent release of the only two people who were prosecuted for this attack, as well as attacks and acts of harassment in El Rosario and military incursions against the BAEZLN in La Realidad. This Centre for Human Rights urges the government of Chiapas to investigate and stop the actions of this aggressor group URGENTLY and to take appropriate action in response to the violations of human rights with regard to death threats, physical attacks and harassment of the BAEZLN; they should respect Zapatista autonomy, in accordance with Convention 169 of the International Labour Organization, the Declaration on the Rights of Indigenous Peoples and the San Andres Accords. On 23rd July, 2015, members of the PRI began to build classrooms on the plot of land of the preschool and on the sports court for common use, without consulting the BAEZLN, who demanded that the agreements for the use of spaces be respected, which are also for the Autonomous School on the land of a member of the BAEZLN. 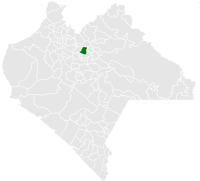 In relation to this, on 24th July, 2015, this Human Rights Centre issued a statement addressed to; C. Subsecretaría de Gobierno de la Región V. Altos Tsotsil-Tseltal, C. Juan Díaz Pérez, Presidente Municipal de Chalchihuitán, C. Alfonso Girón Velasco, Delegación Chalchihuitán and Others, asking them to address these issues. For this reason the PRI are angry and making attacks, because they were forced to release the ground.